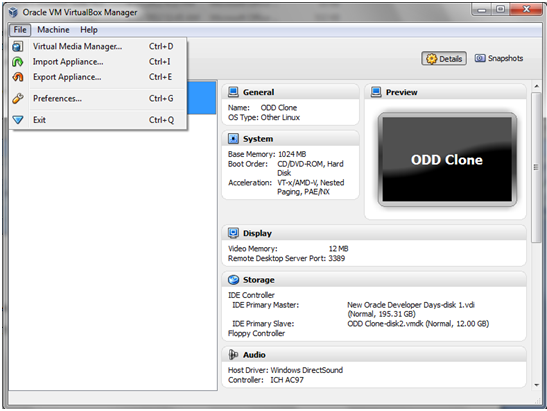 Oracle Virtual Box is used to run the multiple guest operating system without rebooting the host system. With the help of this we can run many flavours of linux under various version in one host operating system. 2. 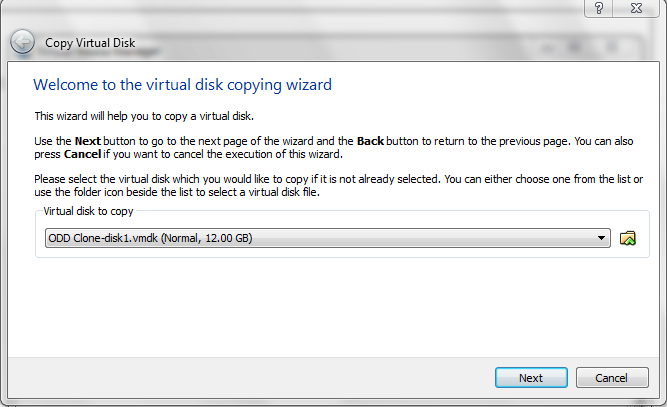 Select the copy option in virtual manager after choosing the specific disk. 3. Select Next for the Prompt. 4. 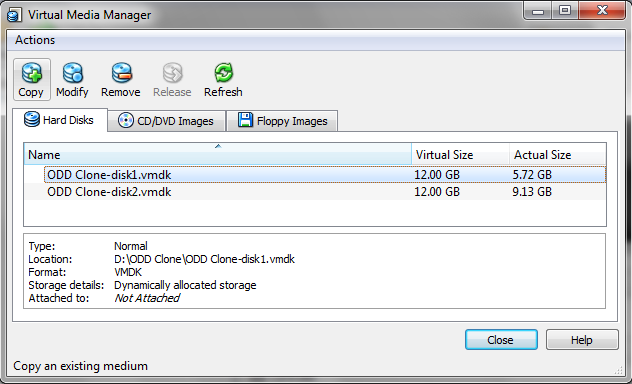 Select Virtual Disk Image (.vdi). Because we can resize this image size. 5. 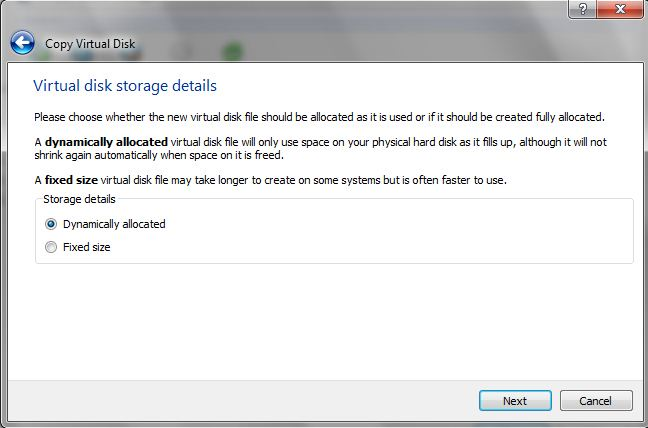 Select the option Dynamically allocated. 7. 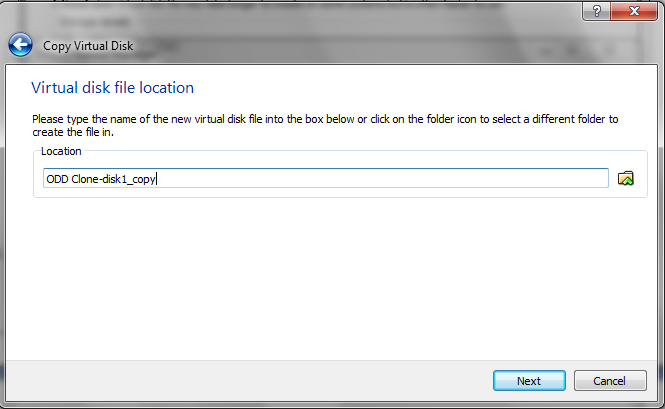 Then select copy option to confirm it. Based on the image size it will take time. 8. 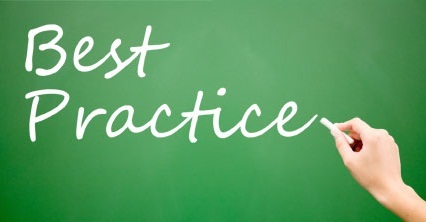 Then release the image, which you have selected for the copy option in Step 2. from virtual mediamanager. 9. Resizing the relased image. 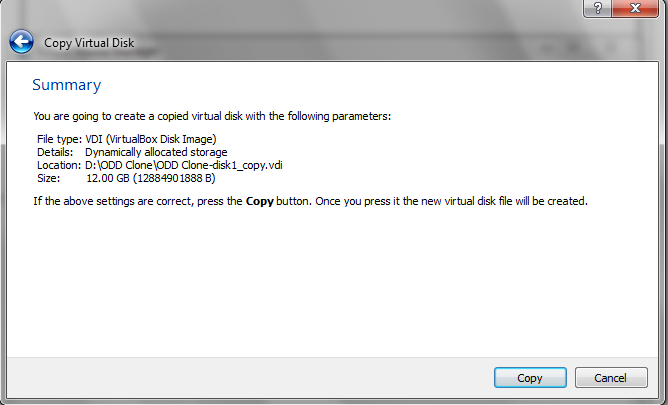 Open command promt (cmd) and go to virtual box exe’s by cd command and locate the VBoxManage binaries and run the following. This consumes space from hard disk. Make sure you have enough space. 11. 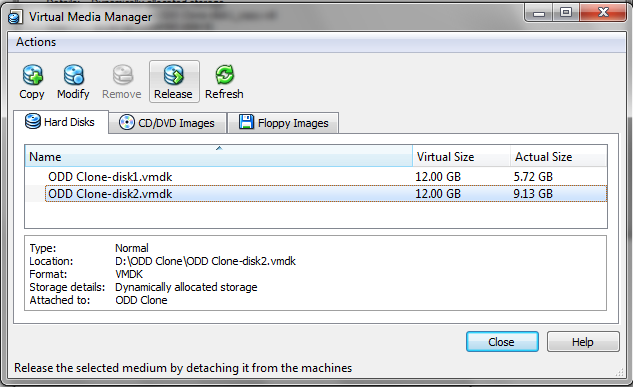 Make sure that, In virtual Box manager now we have three entries disk1.vdi(which is recently modified the size), disk1.vmdk and disk2.vmdk. 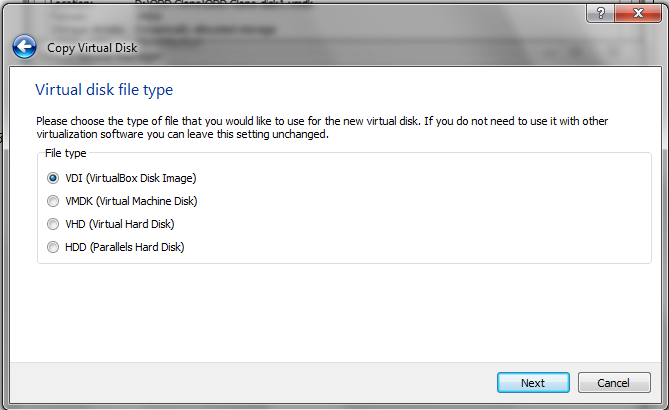 Among all the disk, disk1.vdi and disk2.vmdk attached to ODD Clone and status of disk1.vmdk not attached. 12. Now we can verify the size by after booting the Virtual box image.